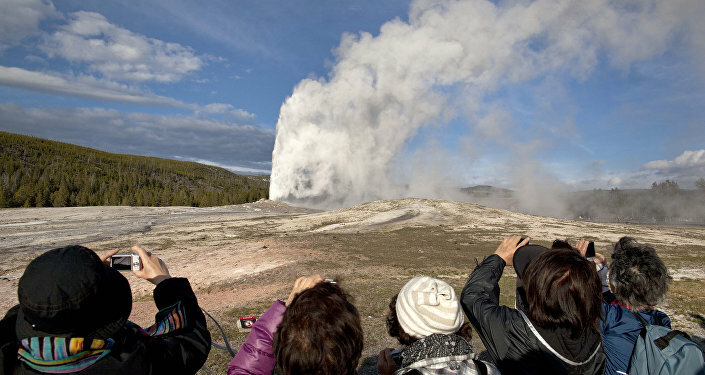 Steamboat geyser in US’ Yellowstone National Park, the world’s largest active geyser, has erupted three times in the past six weeks, stumping scientists. The latest event occurred on Friday. Eruptions of the Steamboat Geyser, which is capable of shooting columns of hot water 300 feet into the air, are normally rare, occurring years apart. However, the three most recent eruptions took place on March 15, April 19 and April 27, according to scientists from the United States Geological Survey (USGS). — Strange Sounds (@Strange_Sounds) 30 апреля 2018 г. "[Steamboat] doesn't erupt that often, sometimes going decades between activity," USGS said. 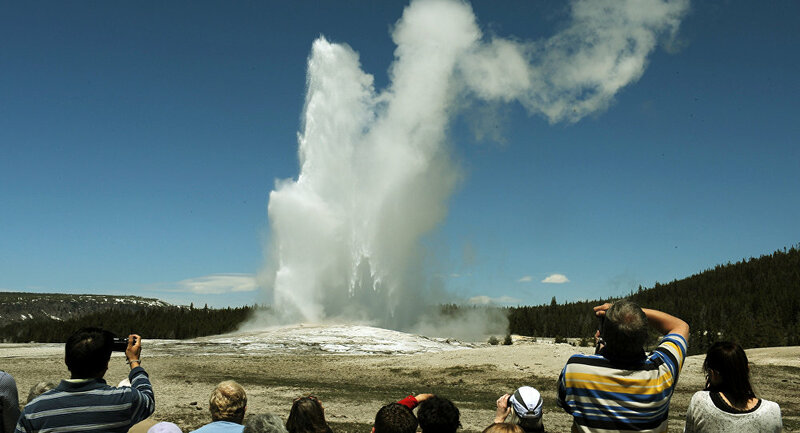 The recent eruptions were relatively small compared to previous events, although they ejected about 10 times more water than a typical eruption at the park's Old Faithful Geyser. While scientists have been unable to determine the exact cause behind the unusual activity, they stress it doesn't indicate that an eruption of the Yellowstone supervolcano is likely. "Most geysers are unpredictable, unlike Old Faithful and a few other well-known examples," Michael Poland, a scientist at the USGS Yellowstone Volcano Observatory, told ABC. "Geysers tend to be random, so this is not at all unexpected behavior," he said, adding that there is nothing to indicate that any sort of volcanic eruption is imminent. Before this year, the last time there was a major eruption of the Steamboat Geyser was in 2014. The most recent lava flow from this volcano took place around 70,000 years.